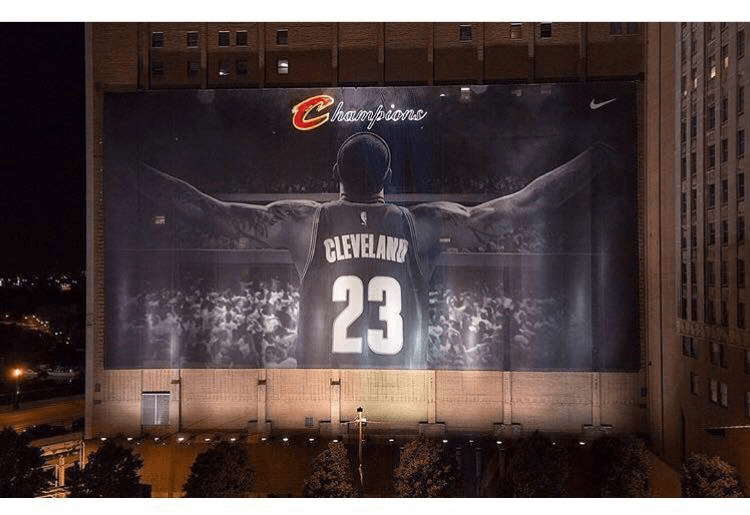 Back in 2014 I wrote an article that expressed how I’m always trying to convince people that Cleveland really IS a great city and that it’s on the brink of something awesome. Well shoot, I was right. Now, I’d be remiss if I didn’t credit that to the World Champs and our very own King James, because let’s be real - the past month in Cleveland has been one we’ll remember for the rest of our lives. Being a digital marketer, it goes without saying that i’m also going to have to give some of this credit to content marketing. Well, I’m here to tell you that times are changing, my friends. To be honest…I’m getting a little nervous that the secret’s out: my hidden gem of a wonderful city is becoming a hot spot that people want to be a part of. Because who doesn’t want to be part of something great? 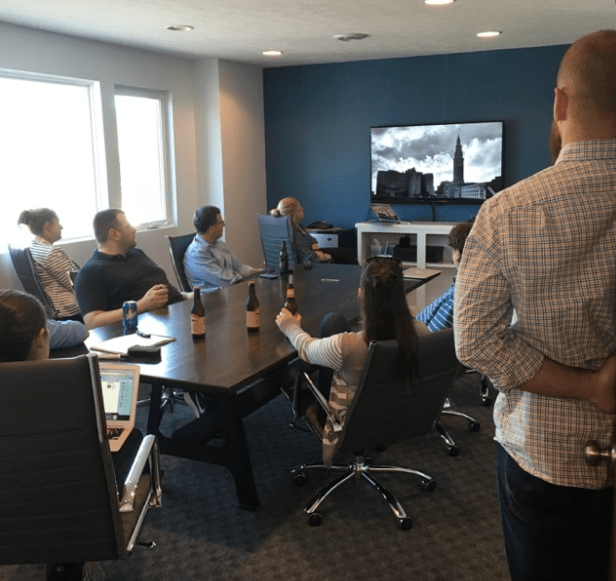 A recent graduate of Oklahoma State produced his own game 6 hype video that went completely viral, and continues: “#DefendTheLand” (the SyncShow team gathered to watch in our conference room (below) on the Friday afternoon before heading into game 7). For those that don’t know the “Lil’ Kev” story, here’s the shortened version: Cavs forward, Richard Jefferson found a Tommy Bahama ad that looked very similar to fellow teammate, Kevin Love. He ripped the ad out and basically treated this Lil’ Kev as a Flat Stanley - take a read. Jefferson took to Snapchat and Instagram with Lil’ Kev. He posted pictures and videos of Lil’ Kev doing his pregame rituals, hanging out with the team at dinners at various players houses, among many other hilarious encounters he experienced. As a “rjeff24” Snapchat follower myself, it really gave a different insight into what happens behind the scenes with these famous athletes. To me, they seemed like real people now. They like to hang out, have team dinners, joke around on the team plane or bus. Sure they’re competing to become World Champions for a city that hasn’t seen one in over 50 years, but they’re also just normal guys, having a good time. 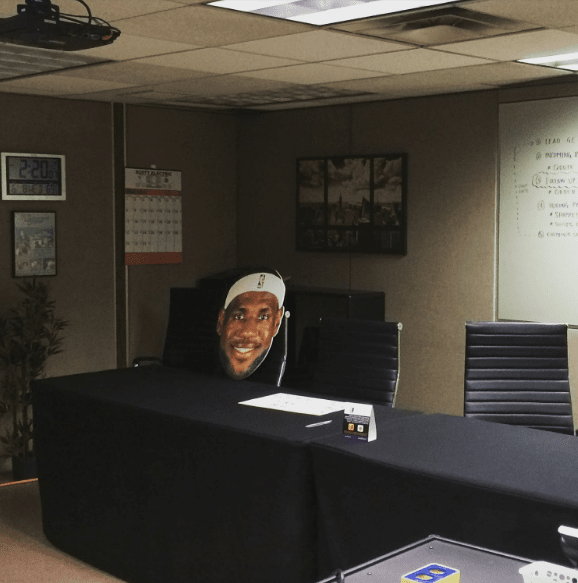 Sidenote: As the SyncShow team was also gearing up for these games, our very own “Lil’ Bron” made an appearance at a client meeting and got his own chair. Thank you to the Ericson team for not writing me off as a crazy person after this first meeting encounter (unless that is still TBD). Just like Richard Jefferson was able to make their team relatable and personable through the Lil’ Kev outlet on social media, thought leaders should also give the reader someone they can relate to. This can be very easily accomplished by adding a picture and a quick author bio to the article. Someone reading the article is more likely to reach out with a question or need they have if they can see this is a real person writing the article. Richard Jefferson took to his own content creation when he wrote an article about how this wave of Snapchat that started as a joke with Lil’ Kev turned into something bigger. It showed the world who they were as a team and possibly muted some of the haters who questioned their team chemistry all season long. The article he wrote got picked up by The Players Tribune and was shared all over the Internet. I’m sure he has more followers than he ever anticipated after this article was published! 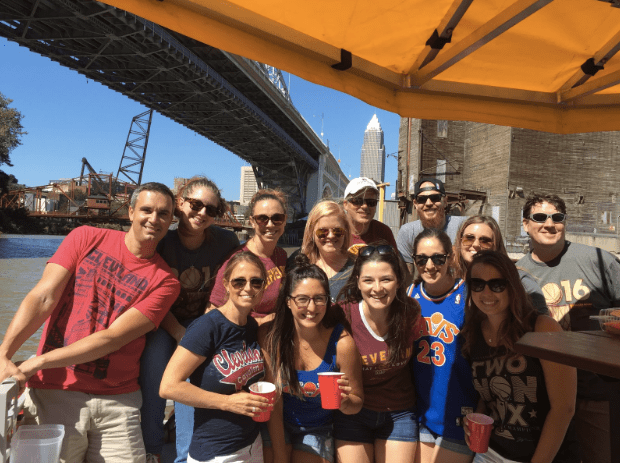 Nearly 2 weeks later, the SyncShow team is still celebrating the win with a Cavs themed paddle brew boat experience with Brew Boat CLE. 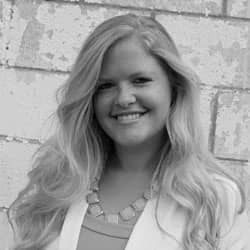 Are you creating content for your company? If not, it’s never too late to start! Feel free to reach out in the comment field below if you have any questions on what type of content is best for you!